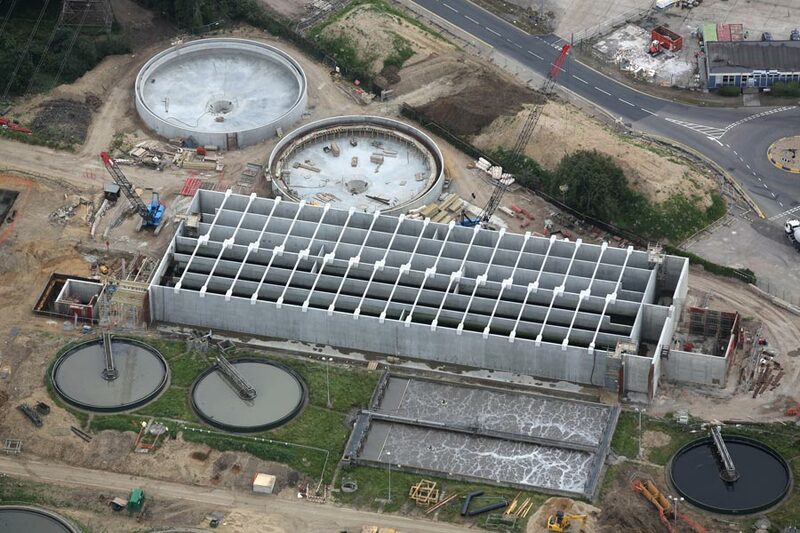 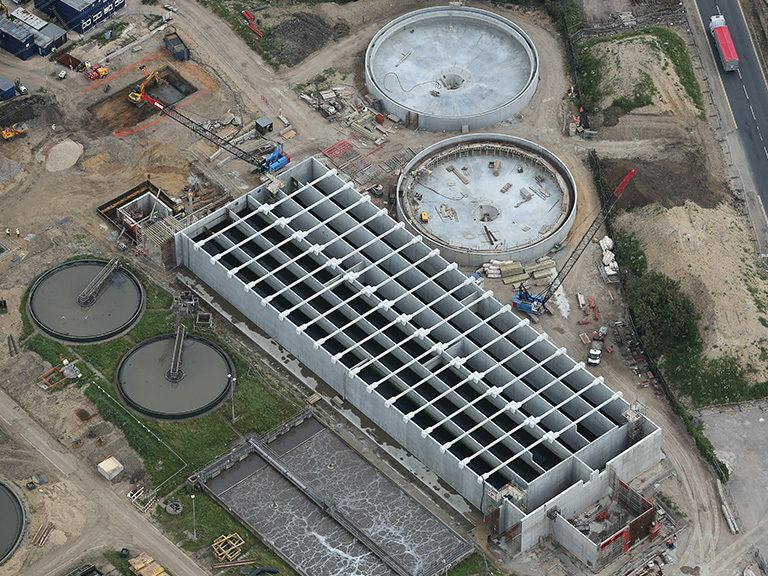 Millbrook Wastewater Treatment Works in Southampton consists of the construction of a new treatment tank known as an activated sludge plant, which wastewater passes through during the treatment process. 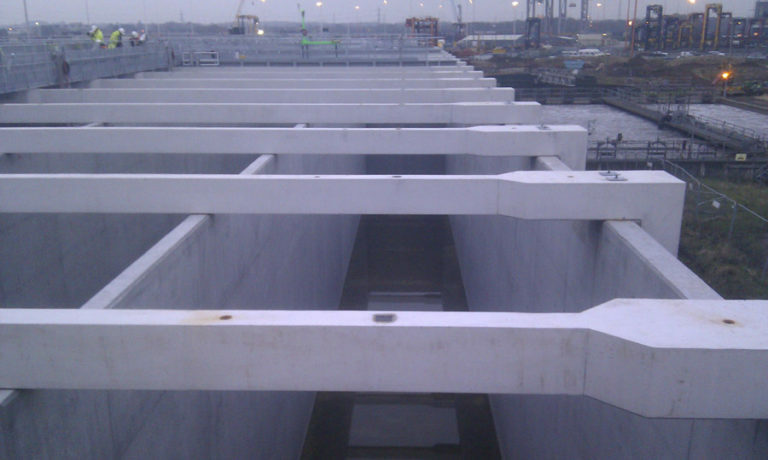 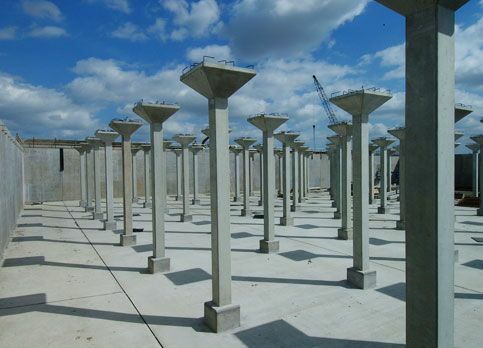 We were awarded the contract to supply the precast concrete tie beams for this state of the art waste treatment facility in Southampton – the 17 metre long precast tie beams weighed over 8 tonnes each. 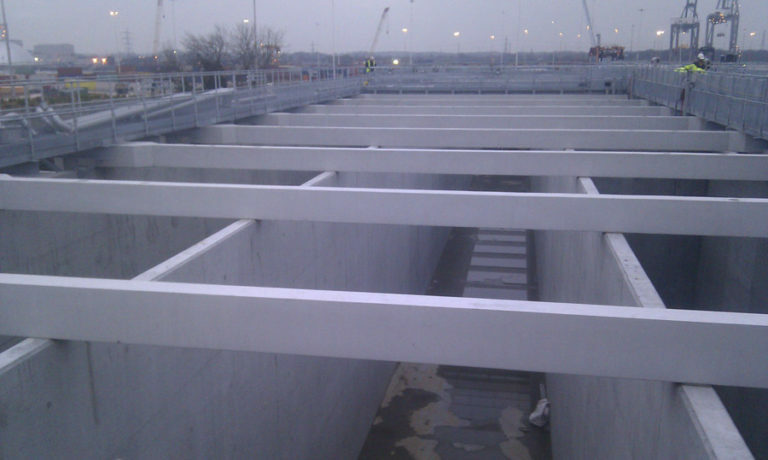 The tank measures 92 meters long, 61 meters wide and is 7.5 metres high. 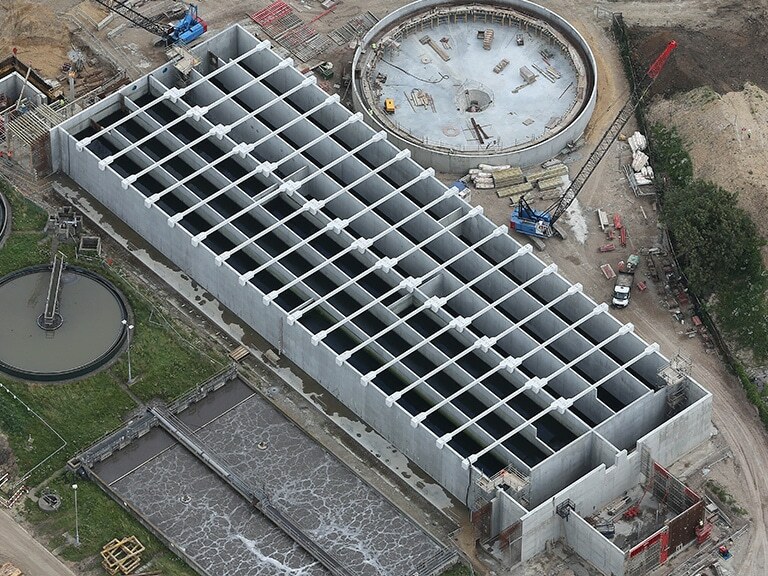 As part of the design the precast concrete tie beams were required to act as a brace for the dividing walls as each of the tanks was filled and emptied. 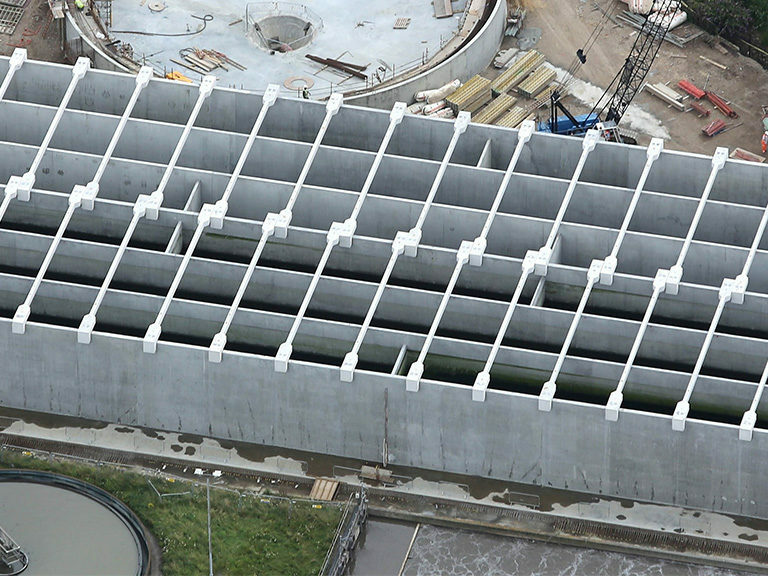 This innovative design by the consulting engineers and contractor saved large volumes of insitu concrete both in the wall design and foundation structure.